First allow me to express my appreciation to Her Excellency Daw Aung San Suu Kyi for her gracious remarks on the annual celebration of the UN Day. The United Nations and Myanmar have a shared past and a common future. Our partnership dates back 70 years as Myanmar joined the UN a few months after she gained her independence in 1948. Since then, Myanmar has played an active role in the work of the UN, and the UN also has remained actively engaged in supporting the development of Myanmar. Notably, Myanmar gave the UN its son, U Thant, to lead the organization as Secretary-General from 1961 to 1971. He helped to turn the UN into what it is today. For example, it was under U Thant’s leadership that UNDP, as it is today, was founded in the mid 1960s. Similarly, he introduced the daily noon briefing for the press at UN Headquarters, improving its transparency, access to information and accountability — allowing media to do their job. In terms of our presence in Myanmar, the UN opened its first office in 1957. While the cooperation between the successive governments had its rise and fall, both the UN and Myanmar knew that its ties were unbreakable. This cooperation began to broaden in the aftermath of Cyclone Nargis in 2008. Our partnership deepened and expanded after the country began its political transitions in 2011 and restrictions on UN mandates were lifted in 2012. Today, we have a team of 2,400 mostly national colleagues working in more than 60 offices in all states and regions. The work of the UN in Myanmar is guided by the Sustainable Development Goals, which have been adopted worldwide as critical milestones for progress. We are pleased to see that the Myanmar Sustainable Development Plan is closely aligned with this set of goals. In the spirit of collaboration, we support the transitions that the government of Myanmar is undertaking: from conflict to peace, the democratic transition, and the transformation from a closed to an open economy. 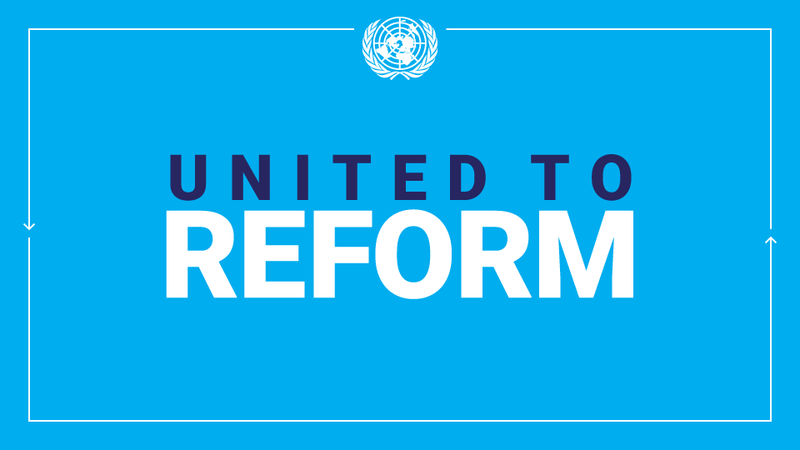 UNDP’s Civil Service Reform Strategic Action Plan aims to improve service delivery, reduce corruption and enhance inclusion in the civil service. Together with the Government of Myanmar, UNICEF, UNHCR, ILO and Office of the Resident and Humanitarian Coordinator have supported the release of over 900 under age soldiers by Tatmadaw. UNODC helped the Government to launch a new drug policy. UNOPS-managed programs have been supporting 56 financial institutions that collectively reach 2.1 million clients. UNICEF, WHO and GAVI helped the Government vaccinate 13.5 million children against Japanese Encephalitis. FAO is developing guidelines for cattle production and trade to benefit smallholders throughout the country. UNFPA has provided support towards the Myanmar Population and Housing Census which has become an indispensable tool for policy makers. The UN also provided funding and technical assistance to the Joint Ceasefire Monitoring Committee, including support to the launch of its five State/Region and two Local offices. Our goal is to ensure that all people in need can get humanitarian aid. To reach our goal, we need humanitarian access. While we have achieved increased access in some areas, people in need still cannot be reached in parts of Kachin, Shan and Rakhine States. Nevertheless, we continue to deliver on our humanitarian mandate. Last year, OCHA coordinated aid operations reaching over 240,000 displaced people who remain in camps or camp-like situations in Kachin, Shan and Rakhine. WFP delivered life-saving and life-changing food assistance to over 1 million displaced, conflict-affected and vulnerable people in 14 states and regions. We will continue to advocate for free, timely, safe and unimpeded access in cooperation with the Special Envoy and other partners. In line with that, we have prepared with partners a Strategic Framework for International Engagement in Rakhine State, so that our contribution is effective, efficient and impactful. We initiated work under the Memorandum of Understanding between the Government, UNDP and UNHCR – in support of creating conditions for the safe, dignified and voluntary return to places of origin or choosing. The crisis in Rakhine is a result of decades of human rights violations and restrictions of movement, identity and political rights. Accountability must be part of the solution, as well as freedom of movement, access to services, pathway to citizenship and development benefiting all people, irrespective of ethnicity, religion or citizenship status. As next steps, we are engaging the Government to promote sustainable solutions for the IDPs and implementation of the Rakhine Advisory Commission’s recommendations. Seven UN agencies launched projects under a US$ 20 million grant from Japan to prepare the ground for creating enabling and sustainable grounds for the resolution of challenges faced in Rakhine. We are aware of the challenges in other parts of Myanmar. Towards this end, we have started to prepare a Strategic Framework for International Engagement in Kachin and Shan. More broadly, the UN is committed to the success of the peace process, and is open to exploring innovative ways to support it going forward. As you know, UN is founded on the principles of human rights and all our work is guided by them. We are preparing a new UN human rights strategy and continue with our work on Human Rights Up Front to ensure that each of our activities promotes human rights. We will continue to work with the Government to fulfill its obligations under international treaties and encourage cooperation with all human rights mechanisms. Currently, an OHCHR mission is in Myanmar to help move forward the human rights agenda, including the OHCHR-UNDP capacity needs assessment of the National Human Rights Commission. In addition, we also give priority to prevention of sexual harassment and exploitation within our operations.Allow me to assure you that national priorities and addressing the needs of all people are central to all our work. We build on 70 years of partnership anchored in the pillars of UN’s work – peace, development and human rights. Our success is measured in Myanmar’s progress. We are ready to do more – to collaborate on achieving the Sustainable Development Goals: ending poverty, leaving no one behind and ensuring human rights for all. Conflicts are multiplying – people are suffering. But we don’t give up because we know every man, woman and child deserves a life of peace. This concluded the message from the Secretary-General. Allow me to reiterate our commitment to supporting Myanmar in its transitions, humanitarian operations, development and human rights agenda. This entry was posted in Uncategorized on October 30, 2018 by Aye Win.